Amazing custom built home atop the knoll of five acres in California Hot Springs. 3 bedroom, one loft style, 2 baths. Lovely kitchen with stainless steel appliances, European designed cabinets with Redwood Burrell Wood island countertop. 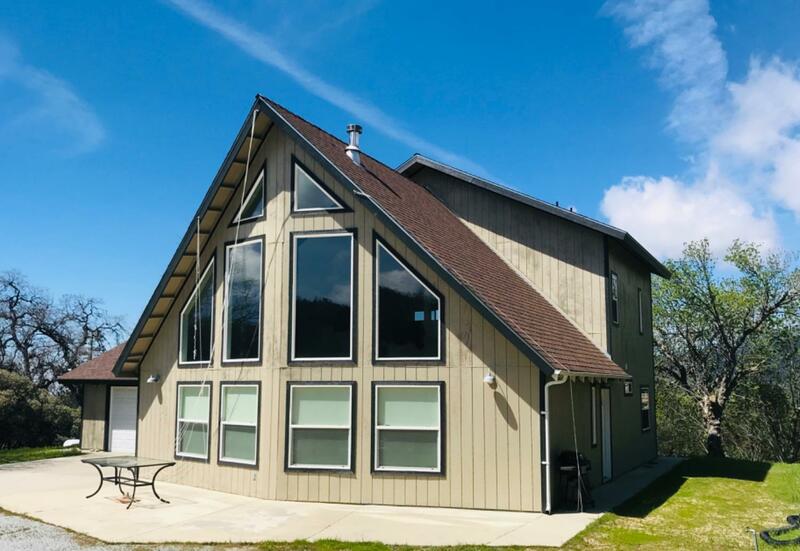 Vaulted ceilings, country wood stove, racked glass view windows. Custom ceiling fans. Stained concrete floors downstairs and Vermont Custom White Pine Hardwood floors upstairs. Fabulous views, complete privacy and underground utilities.